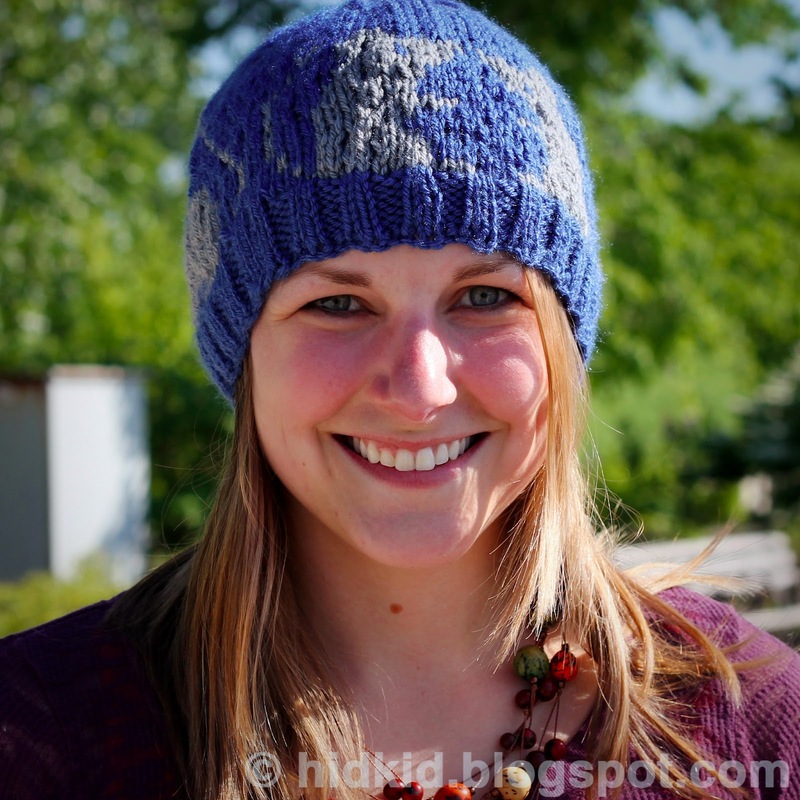 Here is the most recent science-themed hat that I knit for my friend Greg Sibbel. Greg is a fellow PhD student at Washington University in St. Louis and he studies the cellular origins of gastric cancer using mice as a model organism. Greg studies how the loss of a transcription factor (a protein that regulates the expression levels of several other genes in the cell) and autophagy (a fancy word for the cell degrading its membrane and components through a specific cellular compartment called a lysosome). Greg was recently diagnosed with Ewing's Sarcoma and has bravely faced his treatments and kept plugging with his thesis research. You can follow his story and learn more about the treatments from his first-hand account on his blog here. 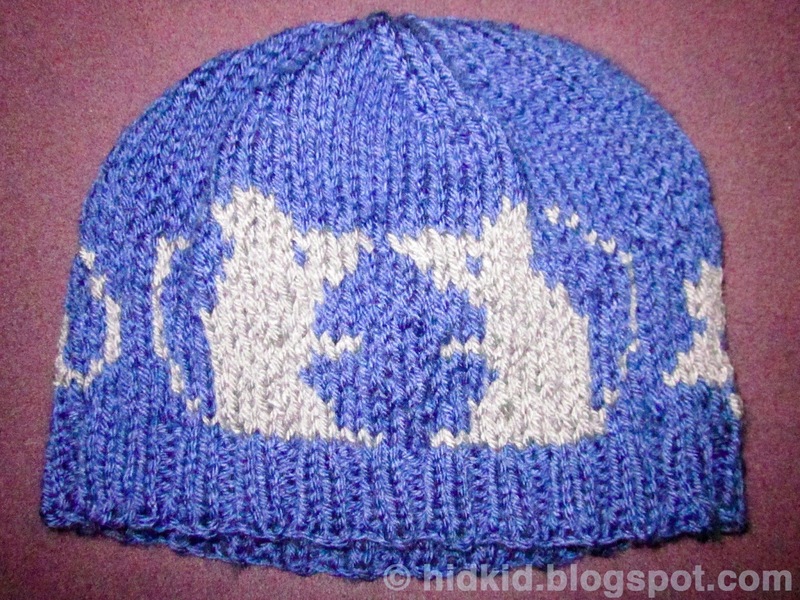 Even though it is summer and starting to get hot in Saint Louis, I offered my skills to knit Greg a science-themed hat. 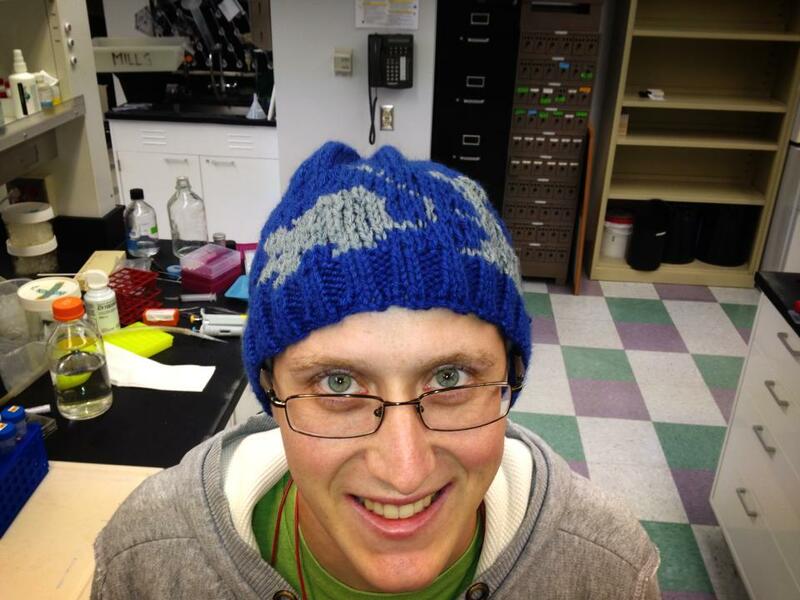 Hopefully it will help keep his head warm in the air conditioned lab and in the upcoming winters. 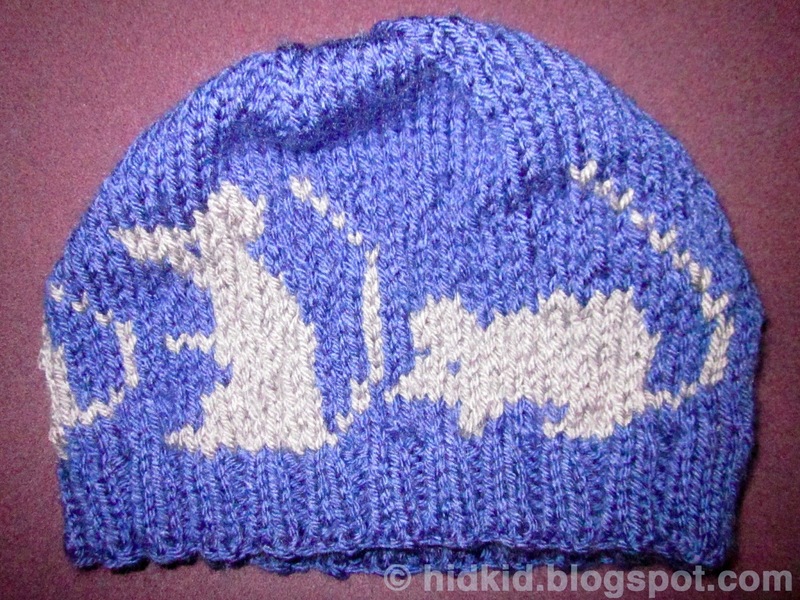 He requested a mouse hat since he works with lab mice. You can see what I came up with in the pictures below. 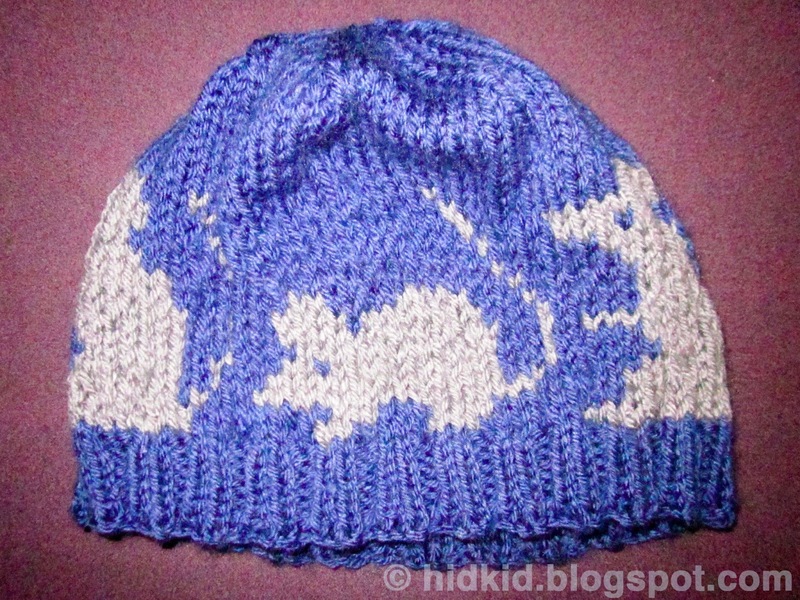 The pattern to this hat can be found here and information for this pattern here. 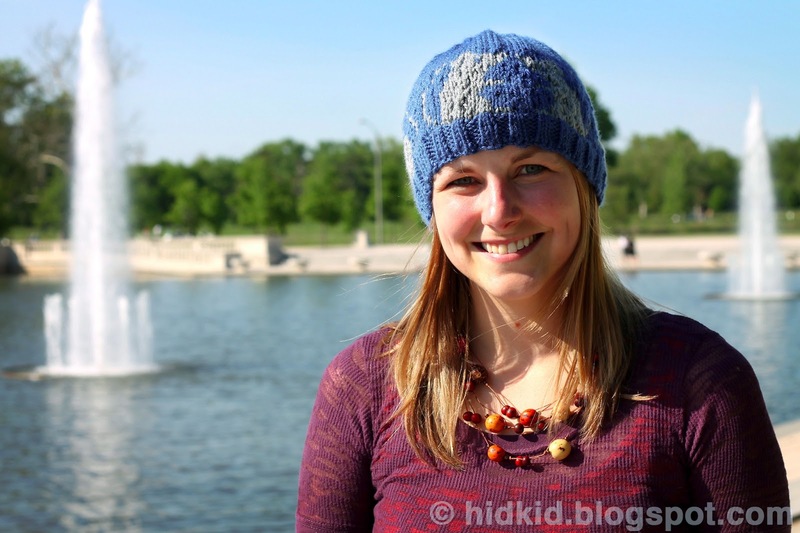 When doing the colorwork for this hat be sure to wrap the non-worked color around the worked color behind the hat every 2-3 stitches to maintain the stretchiness as demonstrated in the Football Patterned Hat post. Update on 12/3/13: Sadly, Greg lost his battle to cancer today after a long and courageous fight. My thoughts go out to his family and his girlfriend Anna. In his honor, I will donate all proceeds from sales of this hat pattern to CJ's journey, a charity that helped Greg in his battle. Hopefully these gifts will help others battling childhood cancer. Click here to learn more about CJ's journey and here to donate in Greg's honor. 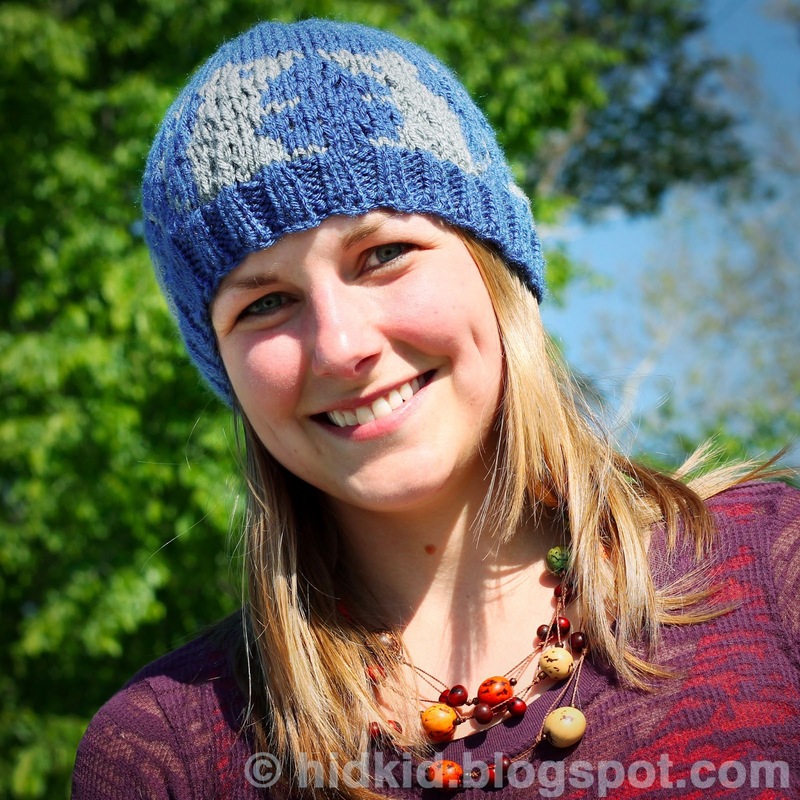 Click here to buy the hat pattern on Craftsy and here to buy it on Ravelry. A special thanks goes out to Matt Menietti for taking the pictures of me in the hat. What a great pattern. I am an enthusiastic rat-lover and run a small rescue in Canada. This will perfectly express my love of these little creatures, I look forward to clicking my needles soon!